Let's begin the week with something you've never seen or even heard about before. This is a coaster concept which was envisioned for Jurassic Park ten years ago after Islands of Adventure opening. Jean Marc Toussaint, a good friend of mine who was at that time working for IAA/The Coaster Works, a company who designed the Dania Beach Hurricane in Florida. 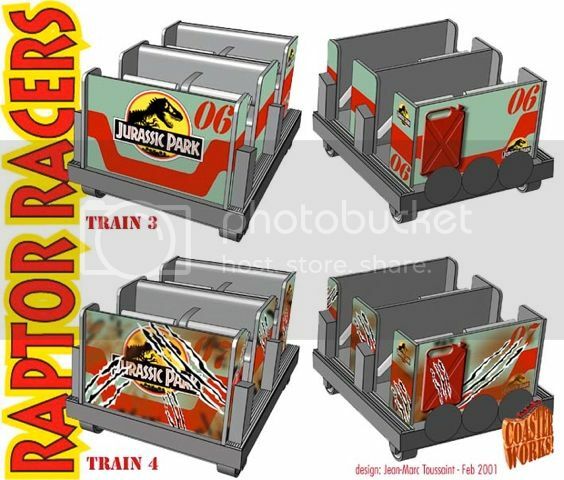 Jean-Marc is the one who designed this Jurassic Park coaster concept and kindly send me these concept-arts. Here is how it would have been: the coaster structure itself would have been in wood - a wooden coaster, so - and the shape of the structure would have looked like the one of a dinosaur skeleton, which was indeed an interesting idea. The coaster track was partly inspired by the one of the famous Cyclone Racer in Long Beach and the train wagons themselves were inspired by the look of the jurassic Park jeeps. The ride would have had a "velociraptor theme" and after a high-speed race to escape the raptors the end of the ride was a kind of mini dark ride in which the train was shaken thanks to a moving/vibrating portion of the track. And when the train was arriving at the station, thanks to a special painting which react to U.V the look of the train wagons would have changed and reveal claws hits from the raptors! 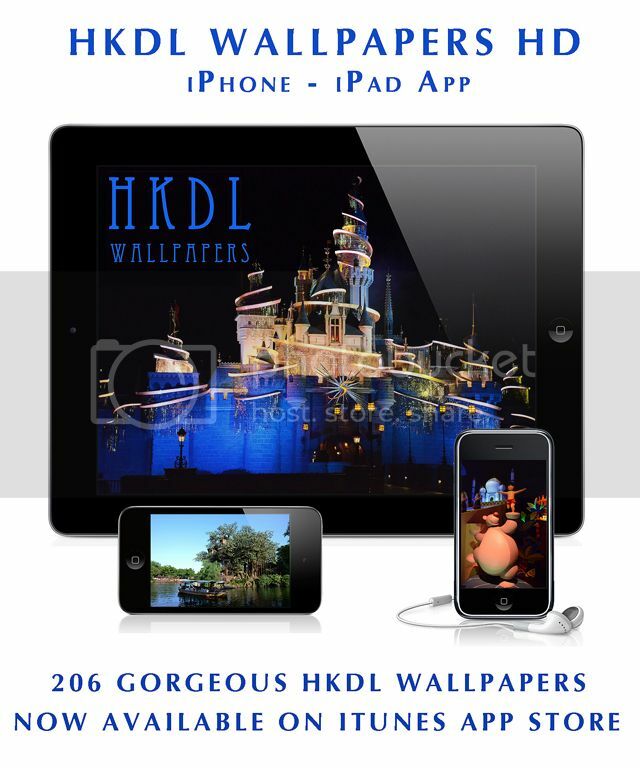 You can see on the pictures above and below the before/after effect. 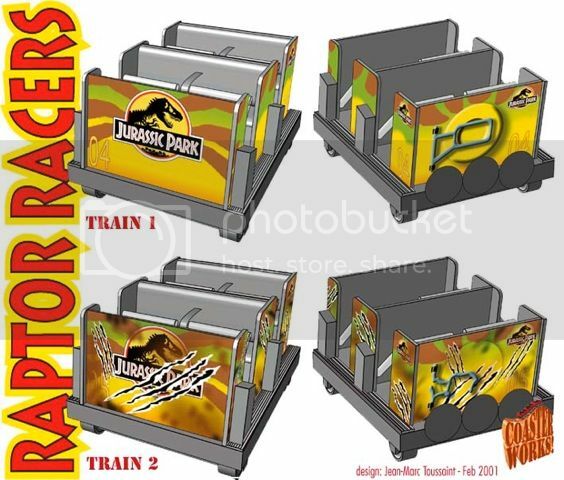 The concept was unfortunately not approved and later the same concept - but not with a Jurassic Park theme - was proposed to Paramount Parks, with a theme inspired by The Italian Job movie (but Paramount finally choose a coaster from Premier Rides) and also for Six Flags with a Road Runner theme (they finally did a junior coaster with Vekoma). Anyway, this "Jurassic Park wooden racer that never was" was a brilliant idea! DLP Big Thunder Mountain Re-Opens ! HKDL Update : Full Toy Story Land Report !